Bentrice Jusu’s design featuring images and quotes from Saraii Martin and Kiyah Johnson. 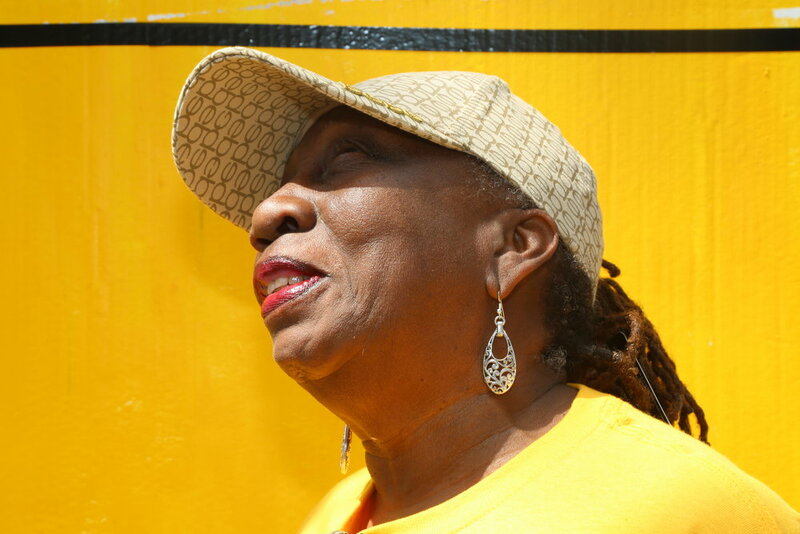 Throughout the summer and fall of 2017, Trenton artist and active Bentrice Jusu worked with the East Trenton Collaborative to design a mural to be installed at the corner of the North Clinton and North Olden Avenues. 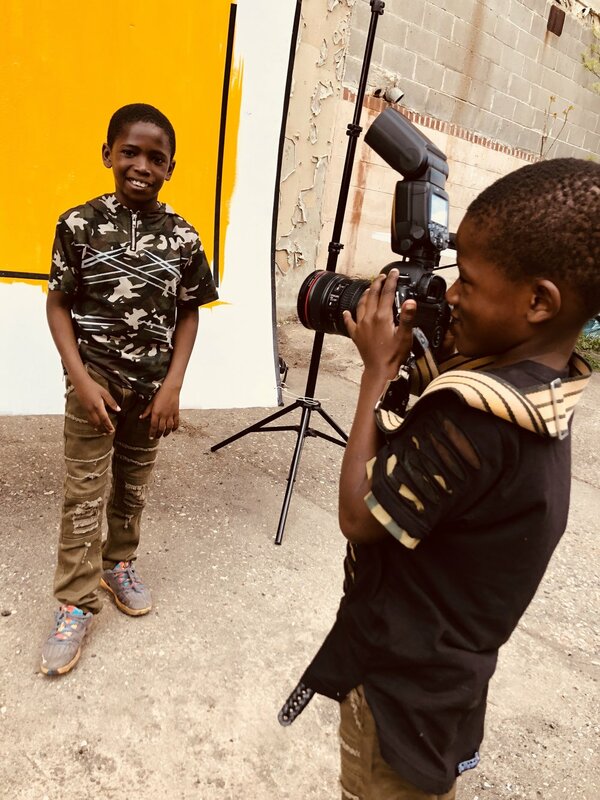 For the Art of Becoming: A Mural,” Jusu uses the techniques of photography, collage, print, and poetry to create a unique visual statement at the heart of EAst Trenton. The design process include historical research, resident interviews, and collaborative photography. 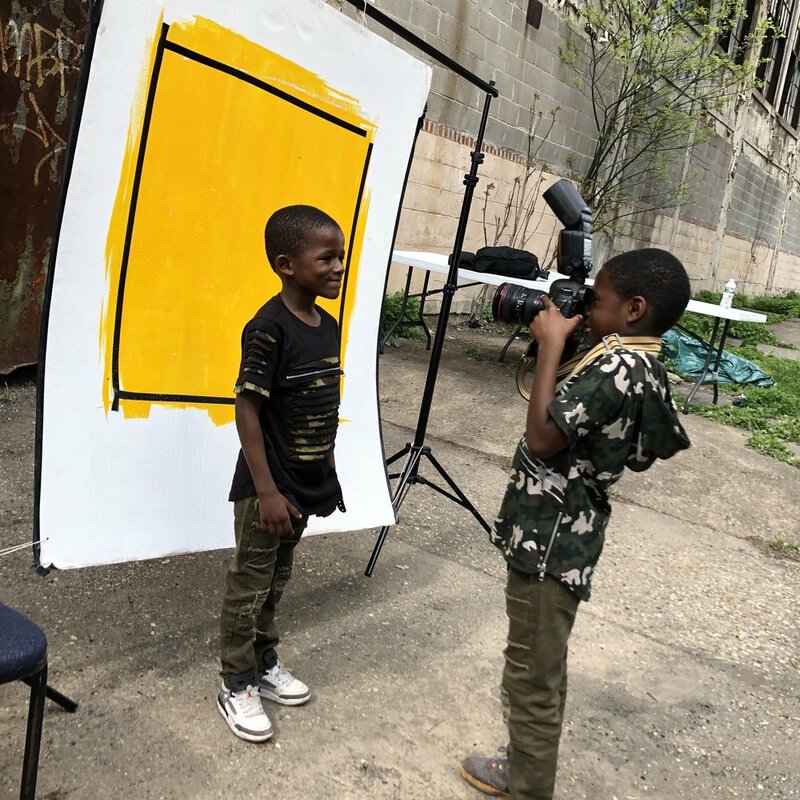 As part of the project, six teenager residents from East Trenton were given 2 hours and the challenge to photograph as much as they could of what matters to them in the neighborhood. They then has to choose up to 10 of their best photos and send them to Jusu, who would incorporate some the them into the mural design. The work of the teens who sent in their photographs can be seen here, along with Bentrice’s photos of the Experience. The Art of Becoming: A Mural will be install at the corner of Clinton and Olden Avenue during the first two weeks of May 2018. A public celebration will follow.